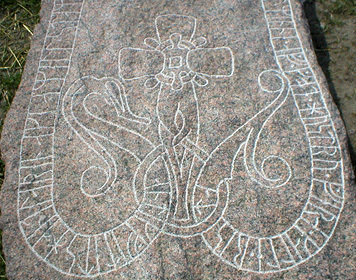 At Vätö quarry a good topic was found for the rune stone, a slab of the rock which with some adjustments would be fine. 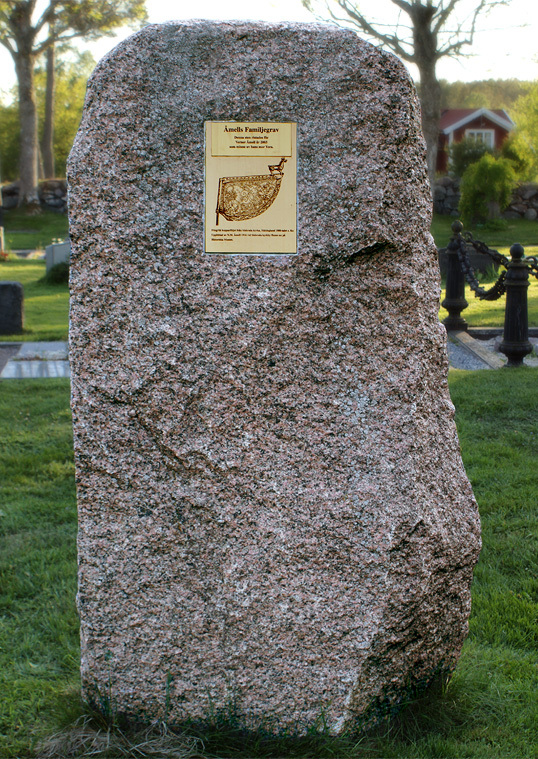 Åke wanted a larger rune stone as the family grave for the family at Ljusterö church. 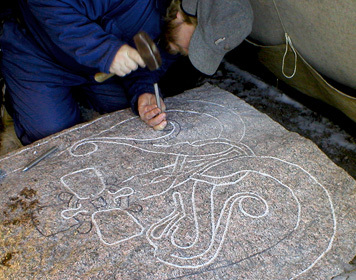 Åke's own sketch had to lay as the basis for the ornamentation I created. 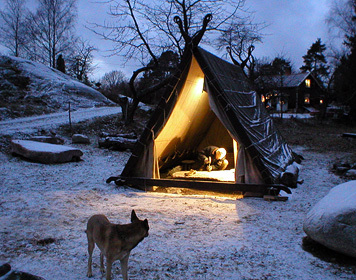 Short dark days, icy winds and snow. The work was slow during these months. 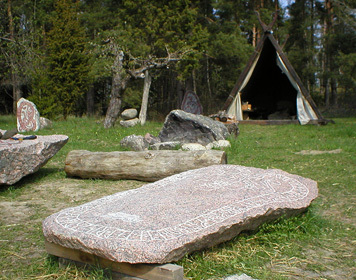 Hard to imagine hot summer days with hot rune stones that you can hardly sit on. 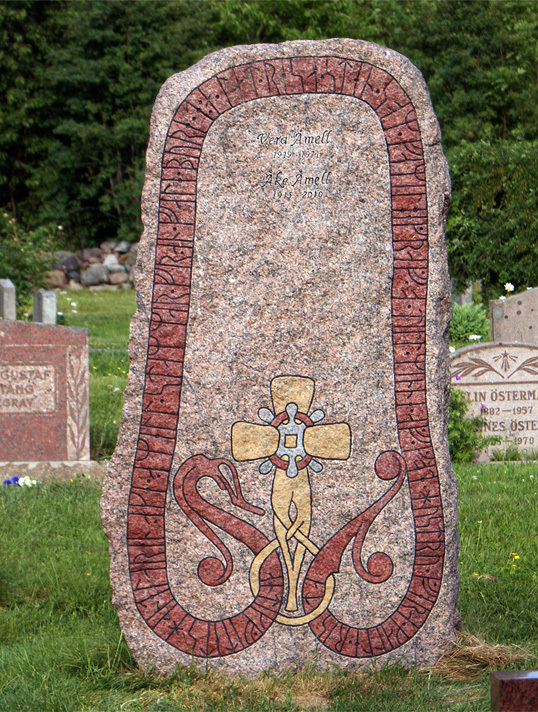 The rune stone is raised on Ljusterö cemetery. 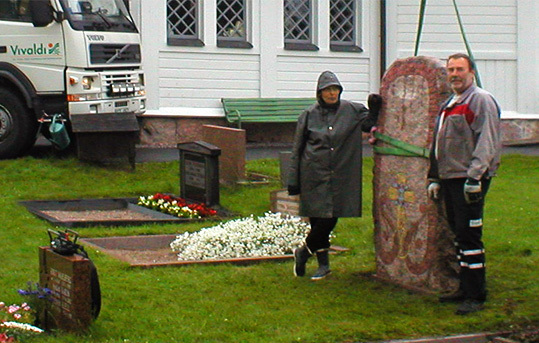 time but in the end we decided to raised the rune stone our selves in the rain. 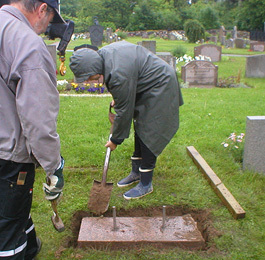 We dig a pit where the runestones base should be placed by Evert. 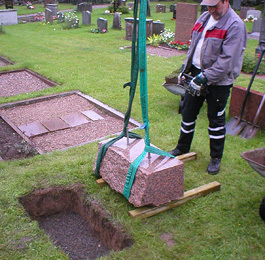 Ellinor pack the sand tightly around the base so it is steady. 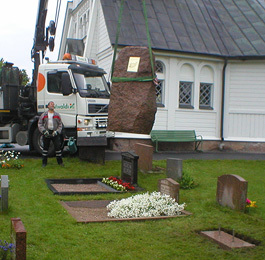 With double bands and good balance, the rune stone is lifted up through the air. 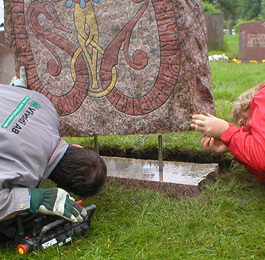 With millimeter fitting, the hanging rune stone is placed on the studs. 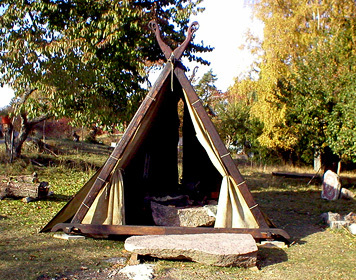 The sound when the heavy rune stone came into place and when the base and the runestone surfaces met, we remember the sound for a long time, a stifled: "boong!" with their work effort and results. 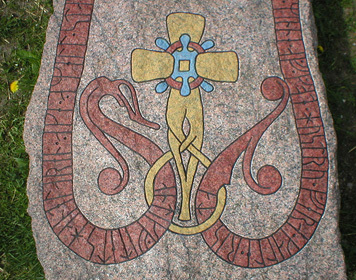 ... and the rune stone has a backside..
On the runestones back I cut a recess in which a heavy bronze plate could be folded in. 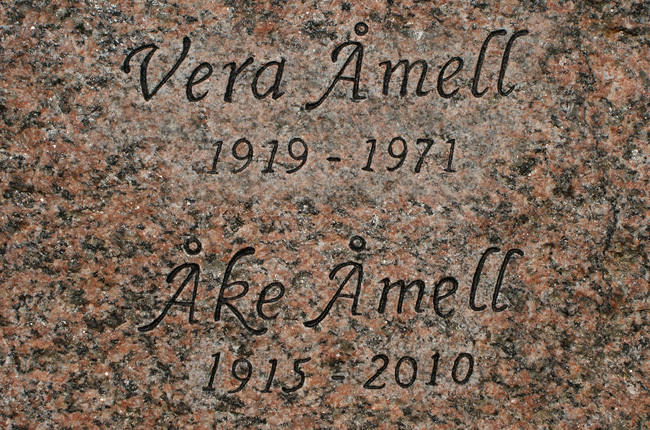 Åke Åmell's father, Nils-Magnus Åmell, traveled around in the early 1900s and searched for antiques. 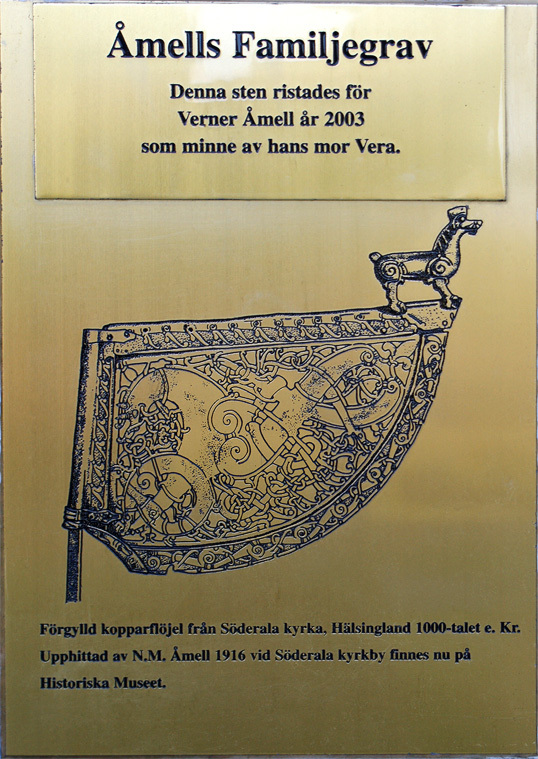 In 1916 he found the Söderala vane (flöjel), now at the Historical Museum in Stockholm.